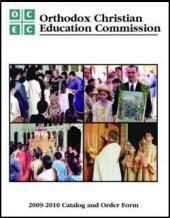 Check out our Christian Education curriculum materials. See our Resources section for additional ideas. The 2017 Christian Education Materials and Order Form (PDF) is now available! 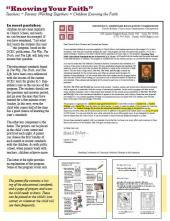 Download and use this new form to order materials for your parish programs. Shipping options are available. Call for more information. Also, the 2017 Liturgical Books Order Form is now available! The Antiochian Village Bookstore now carries all of the titles formerly stocked at the Archdiocese. Here is the 2016 Order Form, including special Services and English/Arabic Service books. Fax or email the form to the AV Bookstore, or call with your order! Note that Shipping options are now available. Credit cards are also accepted! Visit the Antiochian Village Bookstore and Gift Shop for gift ideas for Church School and home. One year to learn 100 points of Orthodoxy is asking a lot! Challenge the high school students to recall what they've learned by using these. 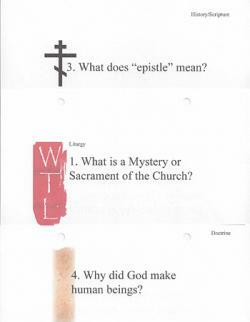 Each unit of the text has a set of corresponding flashcards that can be downloaded, copied onto cardstock and used to review the basics of our faith. Teachers have asked for a listing of the 100 educational standards. These are provided by unit with their answers in this document. In the course of preparing for a new curriculum, it was relatively easy to produce this chart which might help answer the question we receive regarding the two series: "Which book should I use for which grade?" Please read the information on the first page--the information in the columns is taken from two different types of sources making the comparison awkward, but of use nonetheless. The Antiochian Department of Christian Education partners with the Orthodox Christian Education Commission to prepare curriculum materials for all ages. Preview the materials in the catalog, and then order from the Antiochian Archdiocese Bookstore (the best price for many items) or from OCEC's online catalog. A change to note--The Way, The Truth, and The Life, has previously been recommended for 8th Grade. It is our understanding that it is more commonly and successfully used over a two-year span, 8th and 9th grade. We do offer a 9th-grade alternative suggestion. In addition, we will have a few educational objectives written for the items in the Teach-Together Texts. 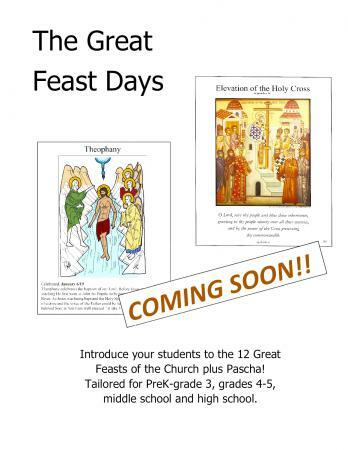 Check the Teacher and Church School Director pages on the Christian Education website for progress on these.